Cavities are preventable! Learn how you take better care of your children's teeth. Check out our online training program for medical and dental clinic staff. Earn one Minnesota nursing CEU by completing our program. Need curriculum and table activities? We have two training programs available: one for preschool and kindergarten age children, and one for caregivers. Both training programs include fun activities. We have a website for your kids! Read our children's book or play video games, while learning about how to prevent cavities. It is often a struggle to find interesting ways to help young children learn the importance of taking care of their teeth. 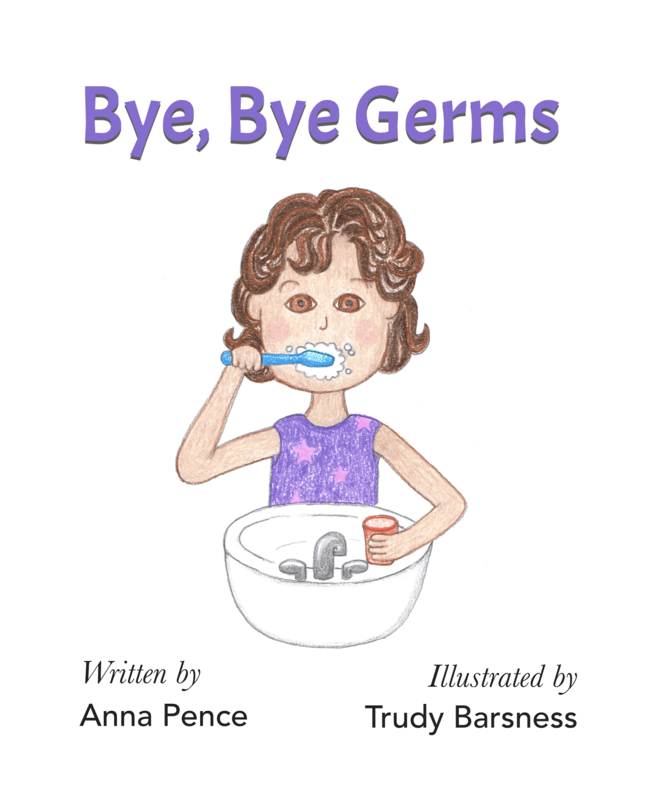 The new book, Bye, Bye Germs, is an engaging tool designed to teach children this lesson. Copies of Bye, Bye Germs are available for purchase. Contact Cris Gilb at cris.gilb@crushcavities.com for more information. Individual books can be purchased for $5.00, and there are significant discounts if purchasing in bulk. As of April 1, the Minnesota Oral Health Project plans to sell individual printed copies of Bye, Bye Germs on Amazon.com via their print on demand service. The Minnesota Oral Health Project has an "I Brush for 2" campaign to help teach children and their caregivers the importance of spending enough time brushing. We will be distributing two-minute timers window clings at educational events this summer and fall. In our Fluoride 1-2-3 campaign we simplify the very complex messages about fluoride into 3 simpler messages. Make sure you are drinking water with fluoride in it. Brush your teeth with fluoridated toothpaste 2 times per day. Have your doctor or dentist apply fluoride varnish up to 4 times per year. Contact our Executive Director today to attend your meeting.